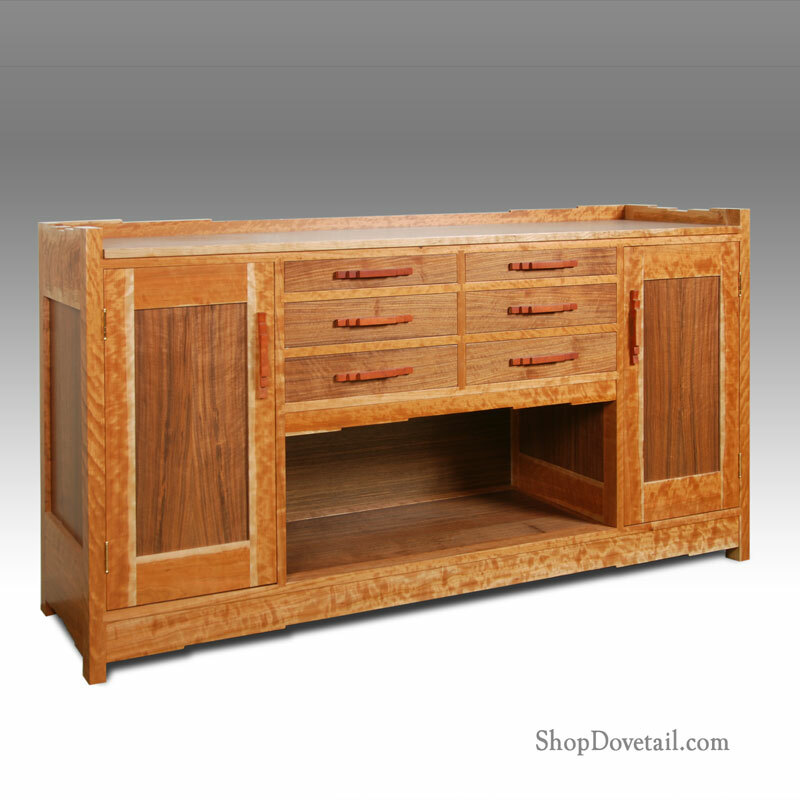 This page shows a variety of custom cabinet, buffet and shelf systems that we have built for other clients. ​Any of these designs can be built just for you, in the dimensions, wood combination and layout (door/drawer/shelf) that you desire. Please call us directly if you want to discuss your custom project further. 707-431-0111. 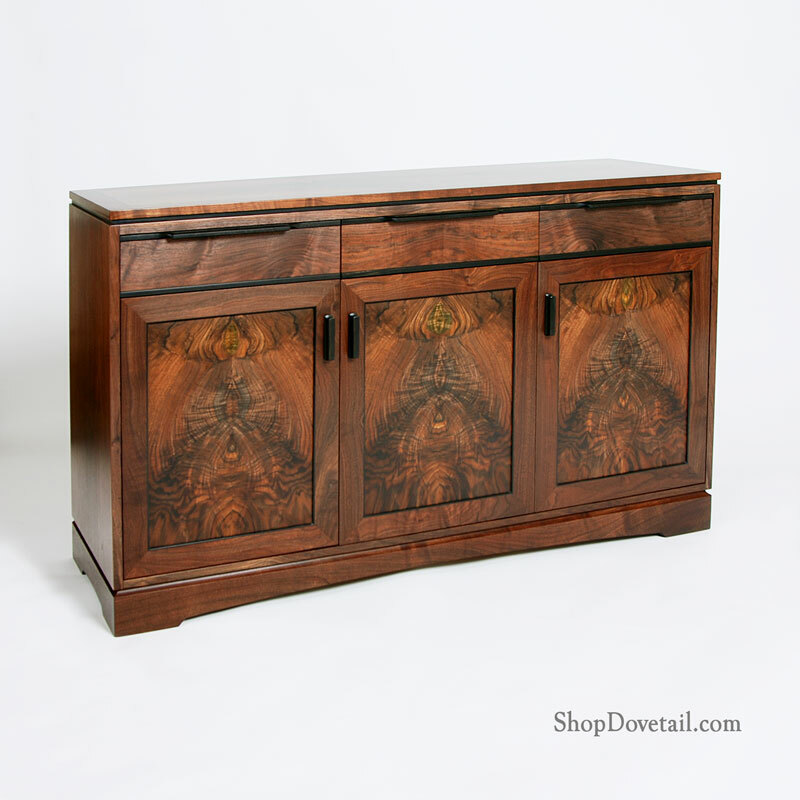 Classic Arts and Craft Sideboard with Cloud Lift detail, cherry with walnut panels. 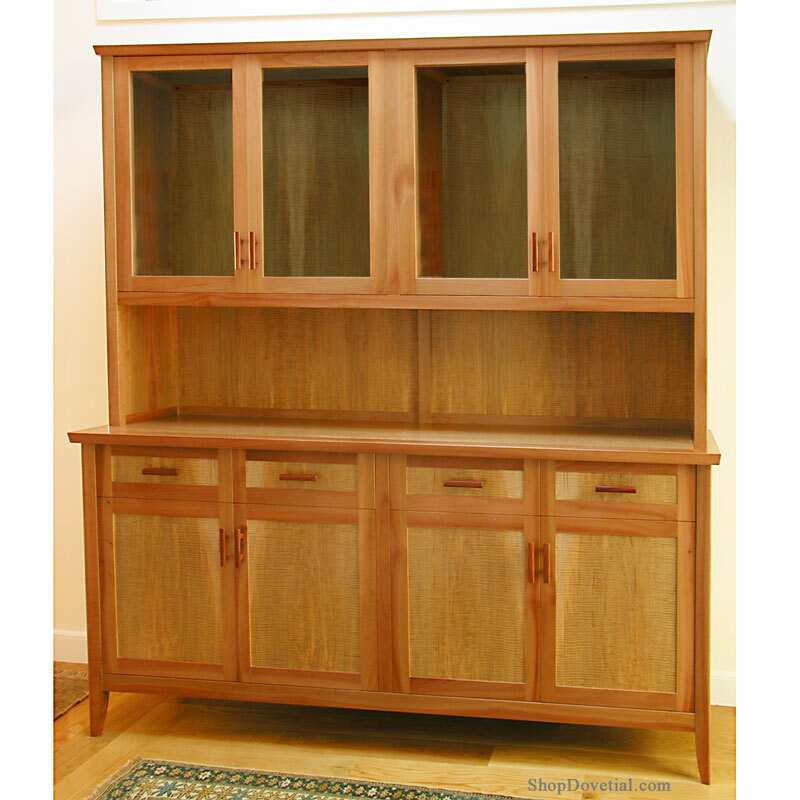 Refined Greene and Greene style Arts and Crafts buffet, in western walnut, with handmade pulls featuring ebony and bone. Custom sideboard with upper glass door cabinetry. Classic layout with storage below, working surface, and optional-lighted glass door display. Shown in madrone and myrtlewood. Custom buffet with clean lines. Fits into a variety of styles, includings contemporary, Asian, and Arts and Crafts with minor detail changes. 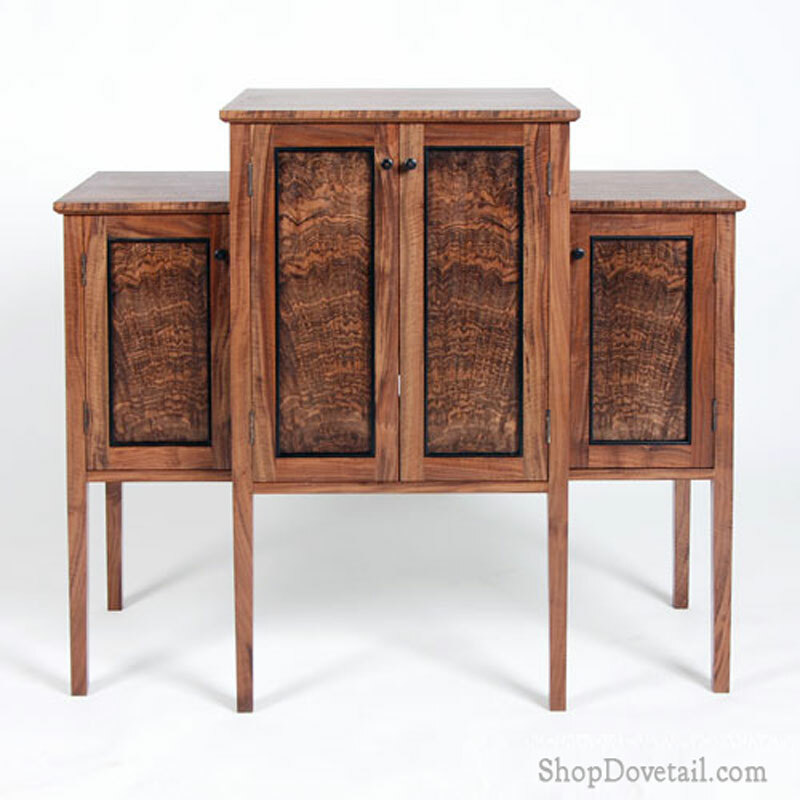 Featuring western walnut with high-figure bookmatched doors and ebony pulls. 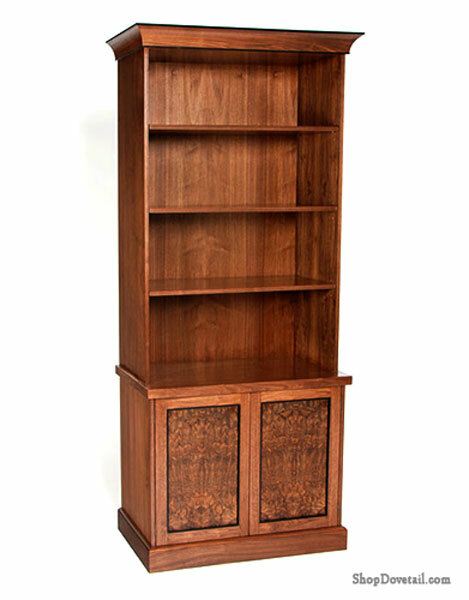 Custom office bookcase, featuring western walnut framing, walnut burl door faces and ebony trim. 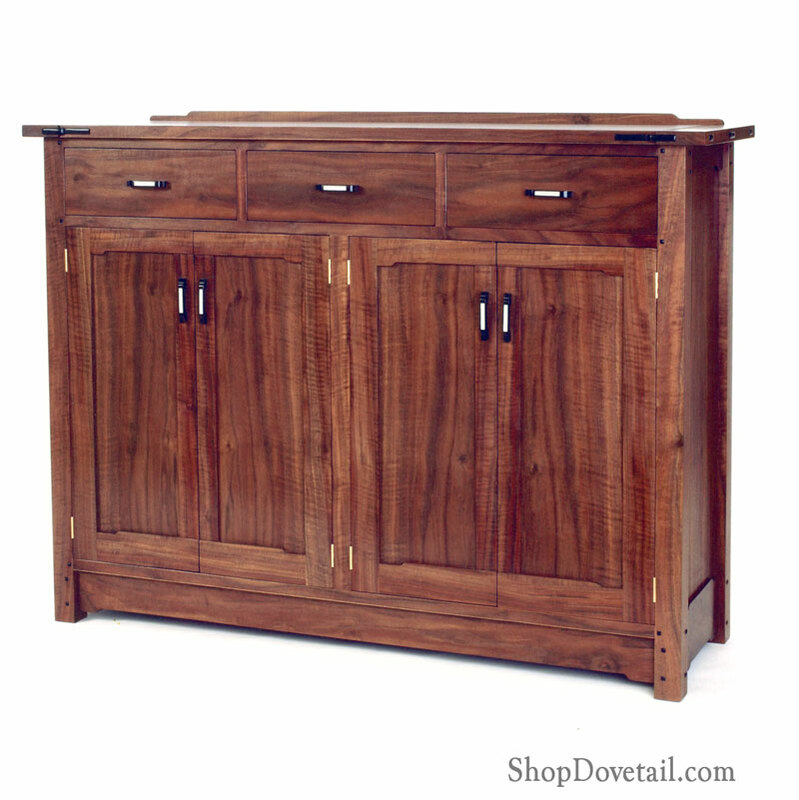 Custom Media Storage Cabinet, featuring walnut framing with walnut-burl panels and ebony trim.